It turns out summer isn't the only time for short-term rentals after all; with these few ideas agents can be better equipped to help their clients make purchases on a second or vacation home. The end of year holidays bring about the busiest travel time of the year. With people traveling to be with -- or take a break from -- family, now is a good time to look to rent out a home. To make a property listing more attractive to sports lovers make sure to highlight availability for critical games, as well as the proximity to stadiums, venues and even local sports bars and hot spots where visitors can enjoy the game. As a real estate agent, it can be difficult convincing a potential buyer that a second home or vacation home has more value than just a place to vacation to when you have free time. Clients have the potential to make significant money by listing this second or vacation home for short-term rental on sites such as Airbnb, HomeAway, FlipKey and Tripping.com. With nearly 17 million people worldwide who have booked their guest stays with Airbnb this past summer, the season is rich with opportunity. Vacation rentals and alternative accommodations are more attractive than ever. Vacation rentals and alternative accommodations are more attractive than ever. Americans love their teams, and they are eager to travel near and far to cheer them on. With college and pro football season in full swing, a home could be just what die-hard fans are looking for to experience the big game. Opting to rent a house or apartment would make it more affordable for friends or families to travel together and show their team spirit. Homes and apartments also offer more space, full kitchens and other amenities. To make a property listing more attractive to this group make sure to highlight availability for critical games, as well as the proximity to stadiums, venues and even local sports bars and hot spots where visitors can enjoy the game. Make an Airbnb listing more attractive by highlighting availability for critical games. Food and wine festivals, music and sporting events, marathons and trade shows, chances are every city — even your clients’ — hosts or is near a crowd-drawing event. Because most of these events are several days long, a home might be a more affordable and attractive option for groups wanting to maximize their experience. Don’t let the change of seasons dampen spirits — it can be a great time to rent a home. The U.S. experiences such a range of climates that there seems to be an option for just about everyone, especially international travelers. Don’t let the change of seasons dampen spirits — it can be a great time to rent a home. Although the colorful fall foliage or a December suntan might seem ordinary or underwhelming to one person, many travelers are looking to rent a home in a location that offers a different seasonal experience than their own — a rental might just fit the bill. The end of year holidays bring about the busiest travel time of the year. With people traveling to be with — or take a break from — family, now is a good time to look to rent out a home. 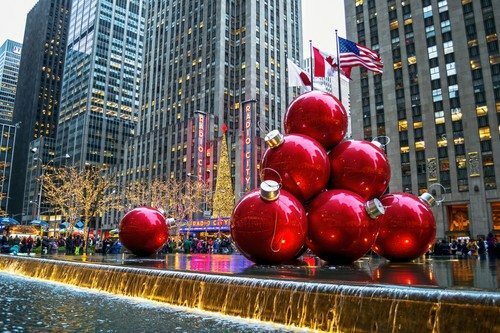 Residences in the country’s most frequently visited cities, such as New York City, Los Angeles, San Francisco and Orlando, are highly desirable during holiday seasons. However, even if a home is not in these popular cities, they still offer a solid rental option for people visiting their families in cities large or small all across the country. It turns out summer isn’t the only time for short-term rentals after all; with these few ideas agents can be better equipped to help their clients make purchases on a second or vacation home.